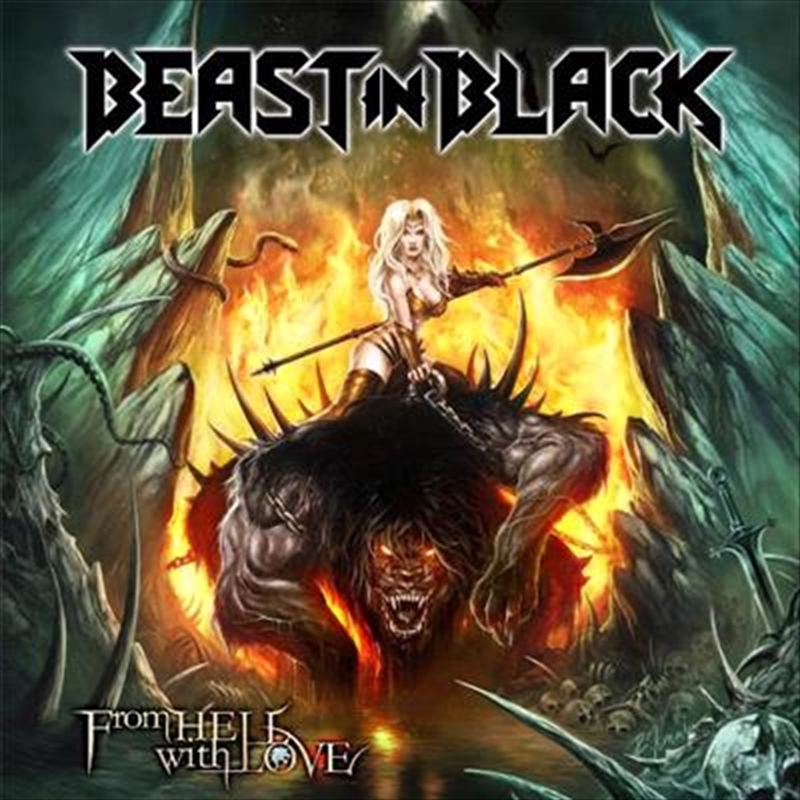 The album was once again recorded in Anton's own Sound Request Studio, and true to the motto "Never change a winning team", the cover artwork was created by Roman Ismailovwho worked on 'Berserker' as well as the first record Kabanen wrote under the banner of Battle Beast, 'Steel' (2012). Although Beast In Black's new tunes musically fit into a similar vein as their debut album, the lyrics haven't only been inspired by the aforementioned 'Berserk,' but also by other movies and TV series Anton is a huge fan of, as well as personal experiences once again. For example, 'Cry Out For A Hero' is based on another Japanese manga and anime series called 'Fist Of The North Star'. Fans of »Berserk« have nothing to worry about as with the help of Anton's Italian friend Paolo Ribaldini the record still delves deep into Anton's favourite series! 'From Hell With Love' delivers everything that made fans love Anton's work in the first place. A slew of fast-paced tracks like the opener 'Cry Out For A Hero' and 'Repentless', hymnic songs 'Unlimited Sin'and 'This Is War' and one of the band's specialities, mid-tempo smashers that only Beast In Black can deliver are back and represented on the new disc by the lead single 'Sweet True Lies' and the album's title track. There's one thing that all of these tracks have in common. Each and every song catches the listener with irresistible melodies, taking residence in the listener's mind from the moment they hear it.